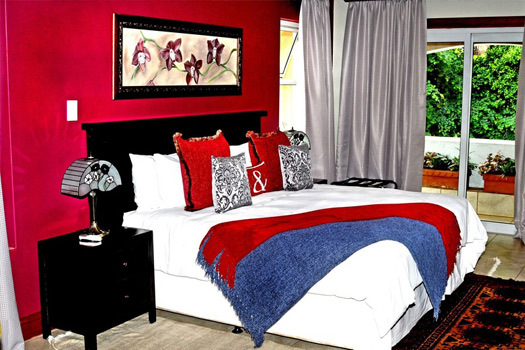 All Seasons Boutique Hotel is situated in the Aristocratic neighbourhood of Moreleta Park, Pretoria. 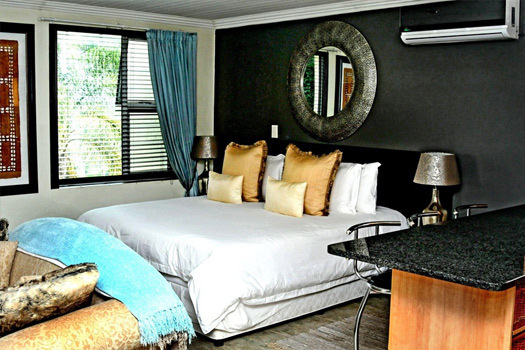 The Boutique Hotel is a 4 Star facility, offering a Reading lounge, and Swimming pool with lapa and braai area. All Suites are individually decorated, but with one common foundation...Absolute Serenity. The ambience of this suite is cool and tranquil with a warm atmosphere. The room is fitted with two wing-back chairs for comfort and relaxation. The dressing area leads to the en-suite bathroom with a bath and separate shower. Enjoy a sundowner from the private balcony which overlooks the swimming pool below. The ambience of this Suite is warm tones throughout. This elegant suite offers you the convenience of a separate lounge. Perfect for the leading business executive or any guest who wants special treatment. This room offers a Queen bed with an en-suite bathroom with Spa bath. Fresh and vibrant. Elegant simplicity is the order of the day. Soft furnishings provide a lush counterpoint to the commotion of everyday life. This suite is fitted with twin single beds, 2 x Queen Anne easy chairs, and an en-suite bathroom with bath and separate shower. This apartment gives guests privacy and leisure, with its own patio and BBQ facility. It is comfortable and offers: 2 Double bedrooms, main bedroom with full en-suite bathroom, the second bedroom has separate bathroom. 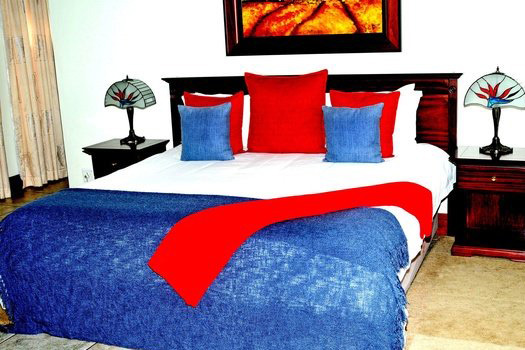 Fully equipped kitchenette, with washing machine, lounge with DSTV and DVD player. Imagination and exceptional style combined with a little bit of Africa. 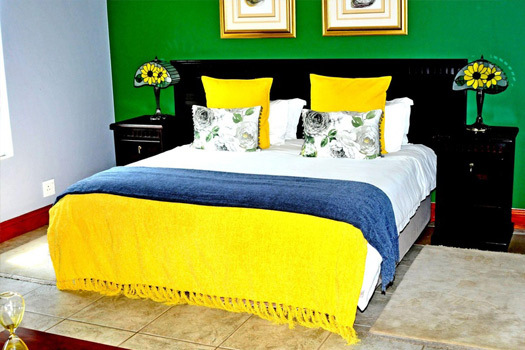 The Self-catering Apartments offer guests solitude and relaxation beyond comparison. 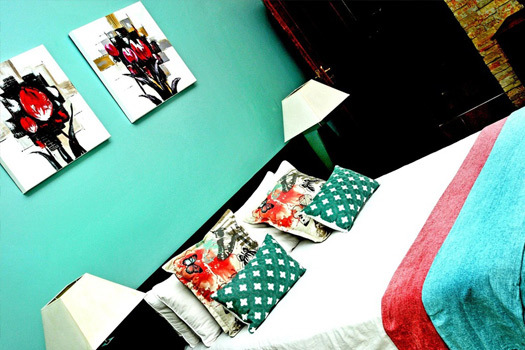 The Apartments gratify every visitor's requirements. 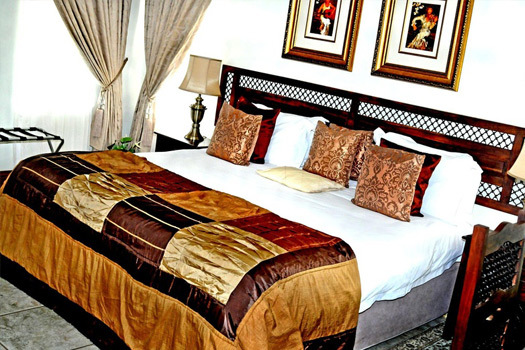 Double bedroom, fully equipped kitchenette with washing machine, comfortable lounge with DSTV and DVD player, dressing area, bathroom with separate shower, private entrances.